Set on the shore of Lake Bolsena in the Tuscany region of Italy, Lido Camping Village Campsite is a leading LUX-camp that offers guests a stunning setting combined with a wide range of amenities to make sure of. People who book a mobile home here will find everything they need to experience the camping holiday of a lifetime while getting to know this stunning part of Italy. 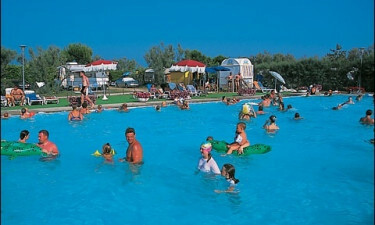 What Makes Lido Camping Village Campsite So Special? The west coast of Tuscany is an enchanting place to explore and visitors will find some stunning sandy beaches to soak up the sun on, while the water that laps the shore is cool and clear. Bicycle hire is available on the site and visitors will be able to spend their days cycling through the countryside to traditional Tuscan villages and to the picturesque vineyards that the region is also famous for. At the end of a busy day exploring or a decadent day unwinding in style, guests will be able to indulge in a delicious Tuscan meal at the onsite restaurant. This luxury camping site provides an outdoor dining area that overlooks the shores of Lake Bolsena and is a great place to simply soak up the atmosphere while sampling freshly prepared fish and pasta dishes. Tuscany is also famous for its excellent wine and guests will be able to sit and sip a glass or two while watching the sunset.